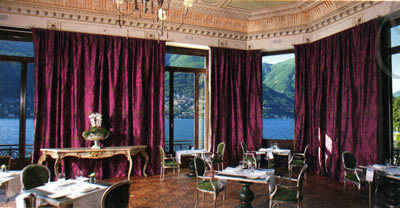 PLEASE NOTE: THIS HOTEL IS NOW THE MANDARIN ORIENTAL LAKE COMO. SIGNIFICANT CHANGES HAVE BEEN MADE. 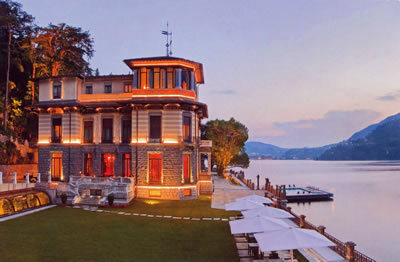 The Castadiva Resort & Spa is quiet, luxurious, exclusive, refined and beautiful. 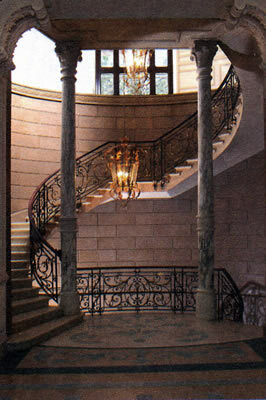 Its heart is a villa which was rebuilt in the Liberty style in the first decade of the 20th Century. Around its grounds are dotted the modern additions, which have been designed to merge into the hillside and therefore do no violence to what is an idyllic spot. Indeed, the entrance on the high lakeside road is so discreet that I almost missed it. I had to manœuvre the hire car to deal with the sharp angle, before trundling down the steep drive towards the Lake. But then I was there, and I was quickly surrounded by friendly members of staff. It was immediately apparent that this was somewhere special. The soprano Giuditta Pasta certainly thought so. (What a wonderful name for an opera singer- Pasta!) She bought the villa here in 1827, and had a colonnade built within it to remind her of the one she knew so well at her favourite opera house, La Scala in Milan. From her picture, one senses that she was a strong woman. She, of course, is the Diva of the Castadiva, and her portrait is everywhere within the property: at the main entrance, on various walls, on the drinks coasters and even on the electronic door keys. Although the main villa is now different from the one she knew, I would hazard the opinion that she would probably like the way it has been decorated. For it has style. At every turn there are pieces of antique furniture and décor of high quality. In the hotel bar there is not only a monumental stone fireplace but also a clock with the largest face I have ever seen in an indoor setting. It must be twenty feet in diameter. Yet there is also a strong sense of modernity in the abundance of bright colours. And I should stress that we do not here have the usual ‘designer’ nonsense of unusable chairs and sofas intended simply to look good in the glossy magazines. Every seat I encountered at the Castadiva was supremely comfortable. Many of the hotel’s 73 rooms and suites (and its spa of 1,300 square metres) are in the new buildings, which have gorgeous views from their high position. And there are also two private villas in which you can be waited upon by your very own chef and butler, should you need complete privacy. If you do not stay in one of the ‘Lake View Suites’ in the main house, you will be transported to and from your apartment in a golf buggy. Thus did I arrive at the Villa Dorabella, up the hill. Room 9502 – a ‘Deluxe Lake View’ and therefore 620€-1,070€ a night for two, breakfast extra – had a capacious proper hallway, with a sliding door to the bathroom. The designer had clearly had some fun with the bathing arrangements. Dark brown and gold were the dominant colours. The first room contained the loo and bidet, and from here three golden steps led to the bathroom proper. Its tub was very large and very oval. The shower was above it. Two wash basins were provided and in the ceiling was a large circular light which changed colour every few seconds. The toiletries were by Lorenzo Villoresi of Florence. In the bedroom the bed had, at my request, been made deliciously soft. In the wardrobe was a private safe. Above the writing desk, the television was mounted on the wall. A wall of glass, with sliding doors to the terrace, allowed full enjoyment of the apartment’s main feature: the enchanting panorama of the lake. Inclement weather prevented any use of the two loungers on my viewing platform. Still, from time to time, I did go out and stand by the balustrade, so that I could gaze across the calm waters to the opposite bank. But more often I sort out a shaded spot in the enchanting gardens which surround the main villa, and there lost myself in the comedic genius of Mr E.F.Benson, manifest in his novels about Mapp & Lucia. Dinner was in the Restaurant L’Orangerie, a brisk trot over a manicured lawn from the house (although there is also a covered way, for use in inclement weather). Here I was looked after very well by the Assistant Restaurant Manager, Marian Druleac, a fine young chap from Transylvania. He ensured – with waiters like the excellent Roberto – that the service I received was tip-top. 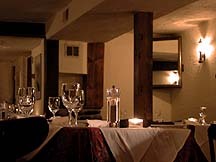 As the pianist tinkled his melodies, I eased myself into an armchair of green velvet and silver, looked through the plate glass windows to the lights on the opposite side of the Lake, noticed the good glassware (a mixture of Riedel and C & S) and the starched white napery before me, and thought this was a good place for dinner. And a good dinner I had. The wine list has 227 offerings, including 13 magnums. Most are from Italy and France, although it was good to see three German Rieslings from Schloss Johannisberger. 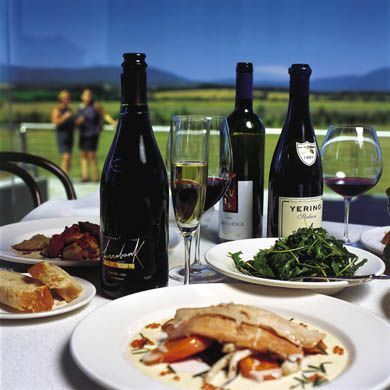 Prices run from 36€ for a local chardonnay to 1,980€ for a magnum of 2000 Dom Pérignon rosé and 1,500€ for the 2007 vintage of Chateau Margaux. Other bottles to catch my eye were: 2013 Cervaro della Sala (128€), 2004 barbaresco Sorì San Lorenzo (840€), 2010 Luce (210€), 1992 Sassicaia (750€), 2011 Masseto (1,100€) and 1990 Chateau Palmer (540€). My own drinking included a light, elegant white from Lake Garda (Pievecroce Lugana, Costaripa, 2014 – 41€). I returned to L’Orangerie for breakfast (30€) each morning. It pleased me that I was able to re-create by grandfather’s morning confection of porridge (made with water, not milk), sliced raw onion and brown bread and butter. Delicious. This I supplemented from the buffet – with fresh melon, pineapple and raspberries, apricot tart, smoked salmon and various cheeses. And to me were brought my pots of coffee, dishes of ice cubes and the essential, concluding cappuccino. These starts to my day were highly enjoyable. And so was my entire stay at the Castadiva Resort & Spa. 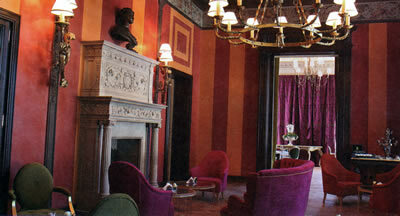 For I do like places which are quiet, luxurious, exclusive, refined and beautiful. Via Caronti 69, 22020 Blevio, Lago di Como, Italy. 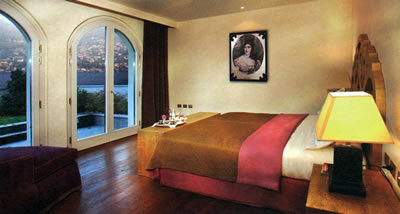 Double rooms from 430€-780€, according to season, breakfast extra.